My family and I moved from the city, where handball courts and solid walls on the side of buildings were plentiful, to a neighborhood outside the city with plenty of single family houses. None of these houses had a decent wall to play handball against. If the side of a house didn't have a window in the way, then it had uneven layers of siding. Even the walls at school had windows causing interference and the nearest park with a handball wall was not near at all. Too far to walk and too young to drive. One summer afternoon when I was fourteen, my brothers and I were hanging with some friends on my parents' driveway. We were talking about how we missed playing handball and tried to explain the game to a few of our new friends who never heard of handball before. Since we could not bounce the old "spalding" ball off the house, I bounced the ball off the flat surface of the driveway. Before the afternoon was over we had played a dozen rounds of a new game I made up on the spot. It was called "Three misses you're out." Basically it was hand ball with the driveway as the wall and court area. 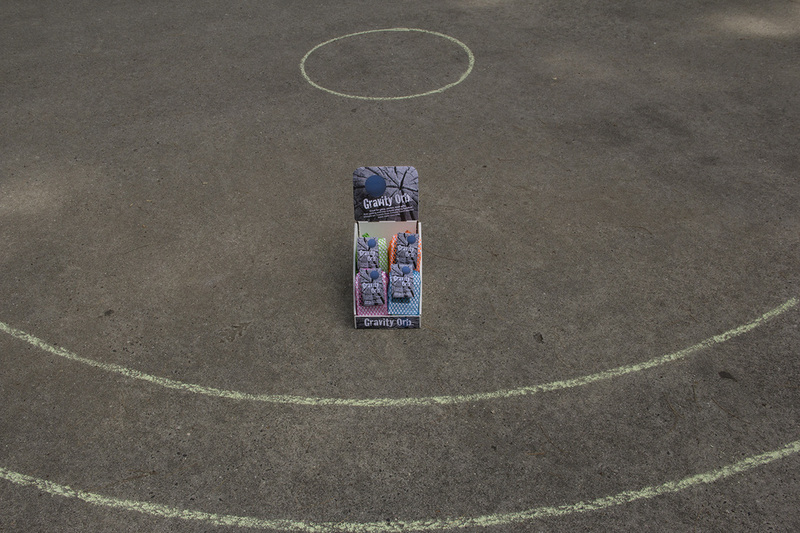 Each person had to punch the ball upward in turn and make sure it bounced on the driveway. The next player to go had to hit the ball up before it bounced a second time or went off the driveway and out of play. If you missed your turn, hit the ball out of play or missed hitting the ball up, that counted as one miss. The last person left won. It wasn't until many years later that I made the rules more sophisticated, thought out a more comprehensive scoring system, designed the logo, found suppliers of all the components and created a 3 zone circular playing court for a playground's flat surface as well as the sands of a beach. Thus a new handball game was produced with a new challenge for any kid, college student or avid handball player. 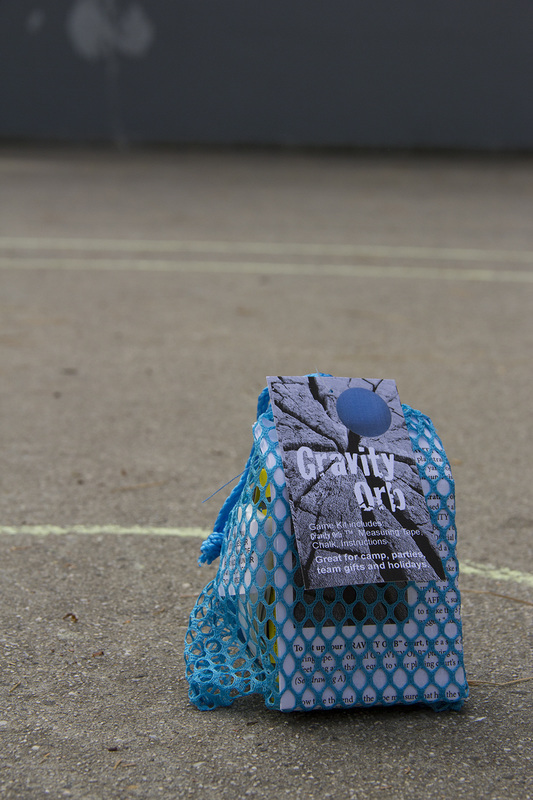 This was GRAVITY ORB™ Handball, played on a flat surface straight up and without any walls! Skilled players use gravity to increase the velocity against their opponents. Played on a flat surface of playgrounds, parks, school yards or sand of the beach! Would you like more information about the Gravity Orb game or do you wish to purchase Gravity Orb™ game kits? Just Click on the ORDER INFO Button above. 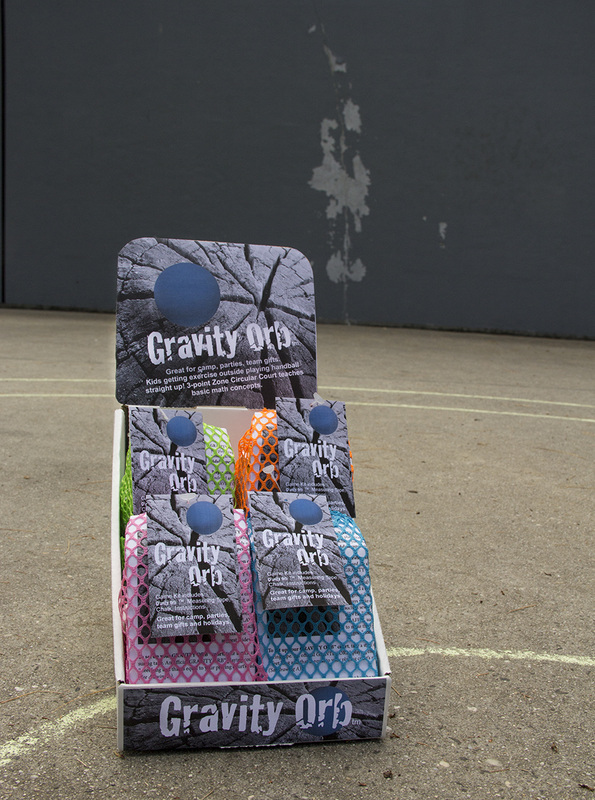 I thank you for your time and consideration about buying one of our GRAVITY ORB™ Handball game kits. For more information about the game, click on the ORDER INFO Button above. I trust you are up to the challenge, because this game is not as easy as you think! P.S. The very important tips on how to master GRAVITY ORB™ Handball come with the instructions in the game kit.